Eiffel 65 are an Italo dance/Eurodance group. They are known chiefly for their high-charting singles, “Blue (Da Ba Dee)” and “Move Your Body”, and their 1999 studio album Europop. Eiffel 65 is best known for using pitch correction and Auto-Tune, and for their international chart-topping hits “Blue (Da Ba Dee)” and “Move Your Body”, which appeared on their album Europop, released in late 1999. 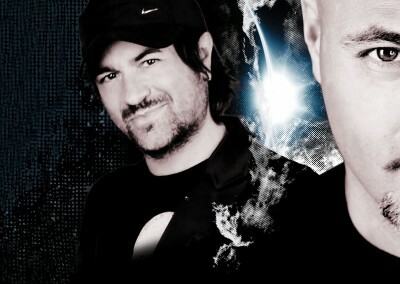 Eiffel 65 achieved considerable success in Italy, the rest of Europe, United States, and Canada. Europop peaked in the top five on the Billboard 200, was at the top of the MuchMusic countdown, and sold over two million units. “Blue (Da Ba Dee)” peaked at #6 on the Billboard charts. 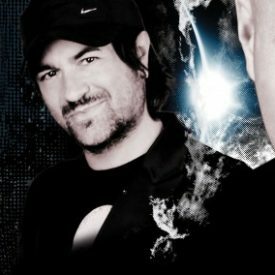 Eiffel 65 also made thirty remixes of tracks by other artists like “The Bad Touch” by Bloodhound Gang, Nek’s hit single “La vita è” and S Club 7’s “Reach” between 1999 and 2002 and in early 2005 a remix of Yo Yo Mundi’s “L’ultimo testimone”. In the meantime they are touring Europe with their New Planet Tour, a multimedia show with wide screens. In the summer of 2012, it was announced on their official site that a Mini Tour in Australia would commence. The band has continued to tour in 2013 and 2014.